Tracy's Toys (and Some Other Stuff): Santa Was Here! 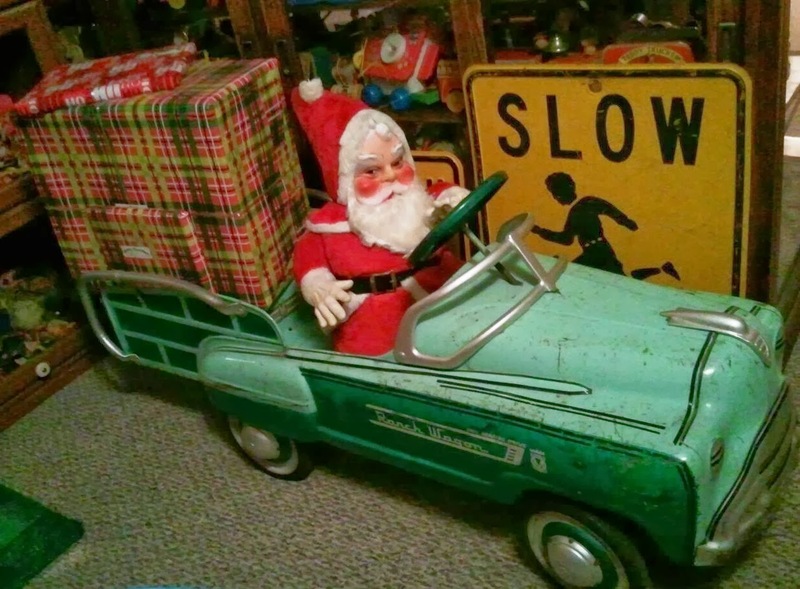 great photo - I like the green paint on that car and the old santa! It's so much easier for Santa to drive, particularly when he's weighed down with so much loot for you. I love the Steiff bear.